In order to shoot high quality video on a smartphone you need full manual control. That’s why many mobile journalists rely on Filmic Pro, an app that allows you to adjust the settings for focus, exposure, ISO, shutter speed and white balance. 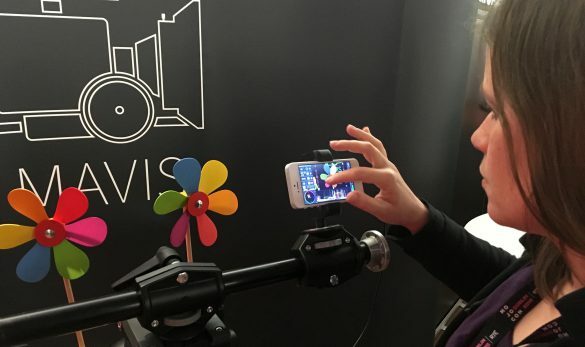 The developers of Mavis promise that their app has the same features. 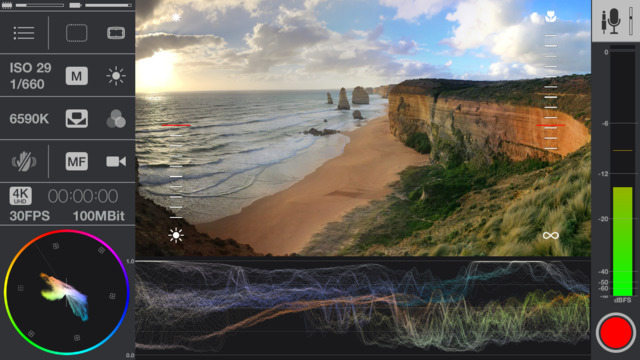 In addition they added a few more functions that Filmic doesn’t have (yet), for example peaking to check focus or false color to help with exposure. Many of those extra features seem to be more targeted at filmmakers than „run and gun“ video reporters and at first glance the screen can appear confusing for video newbies. But focus peaking is one of the few extra functionalities that I often miss when shooting on Filmic Pro. The good news is that a Filmic developer told me they are working on focus peaking and hope to add this function to their app soon. If you don’t want to wait or if you’re looking for an advanced camera app, give Mavis (16,99€) a try. The SmartGRIP (…) includes a 3G/4G MiFi channel (or any other mobile hotspot), which is bonded together with the smartphone’s internal 3G/4G connection to combine two cellular connections beyond the smartphone, boosting live video transmission time, quality, reliability and performance. Sounds great? Unfortunately improving streaming quality comes with a hefty price tag: The Smartgrip is sold around 500 Euros. Sound recording is often the biggest challenge for mobile videographers. 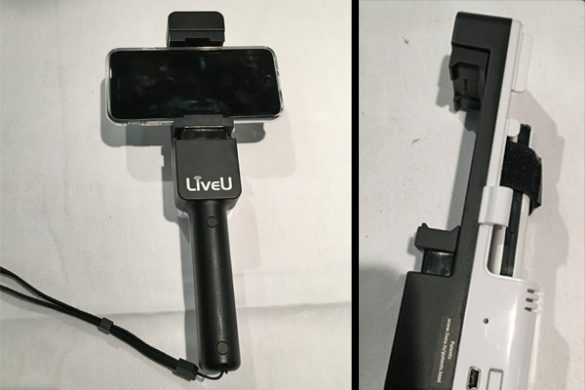 I have reviewed another microphone for smartphone users, the SmartLav+, on this blog before. Shure’s MV88 offers way more functions but it’s also more complicated to get started. 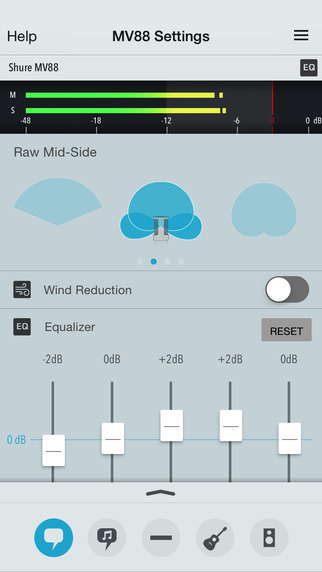 use the app’s 5-Band Equalizer. As a speaker at MoJo Con, Shure provided me with a test MV88 microphone. I did not get a chance to work with it in the field yet. But I played around with the app and recorded a few sound bites. It seems to be an interesting tool to record really good ambience sound. But I’m not sure if this will become my go-to-mic for my work as a journalist working on news reports. The MV88 connects through Apple’s lightning port. That means that I have to take of my protective case (often a lifesafer for my iPhone) in order to connect the microphone. Plus I can’t charge my phone while recording – a big disadvantage because filming drains my battery quickly. But if you are looking for a versatile microphone that goes beyond an easy-to-use lavalier mic, the MV88 might be an interesting choice.